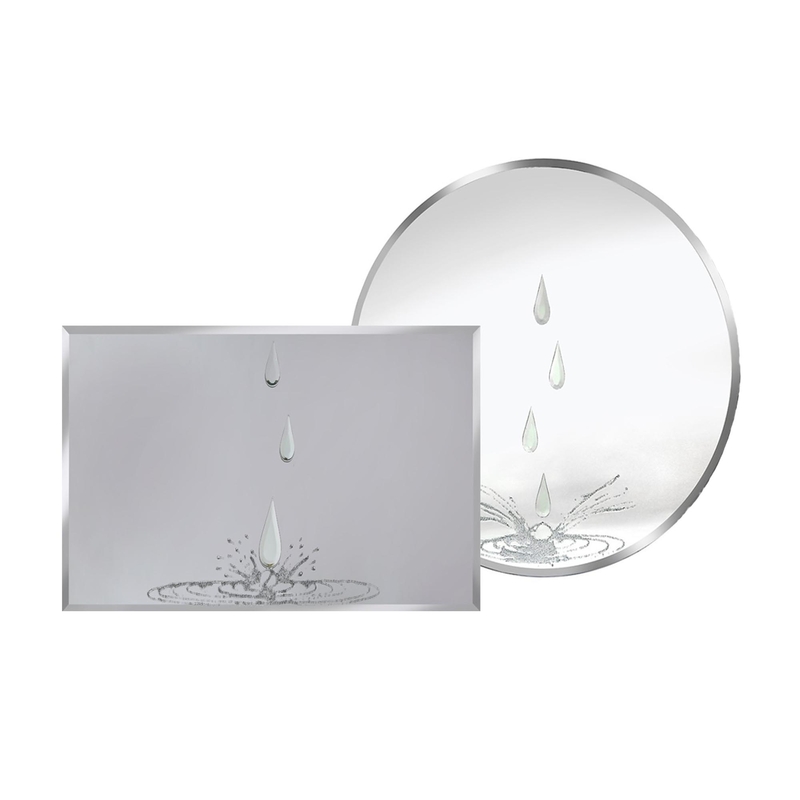 Bevelled Teardrops with Silver Glitter Liquid Glass Splash set on the centre of the mirror. We are proud to introduce our Tears & Diamonds design. Coming in four sizes, including a round circle mirror and you can also purchase this piece custom sized. Featuring tear drops falling in the centre of this design into a pool of silver glitter and diamonds in the centre of this mirror. This piece was also hand finished in the UK and wont fail to impress.